Kasia Jagiello: The mini skirt! I love it on other girls but I simply feel to intimidated to wear it myself. Common! I know worn on bare beautiful, long legs along with a pair of high heels, like we saw with my friends the other night, can be a definite eye catcher. Of course if you want to catch that specific type of attention! ;) But the solution above seems quite nice to me. 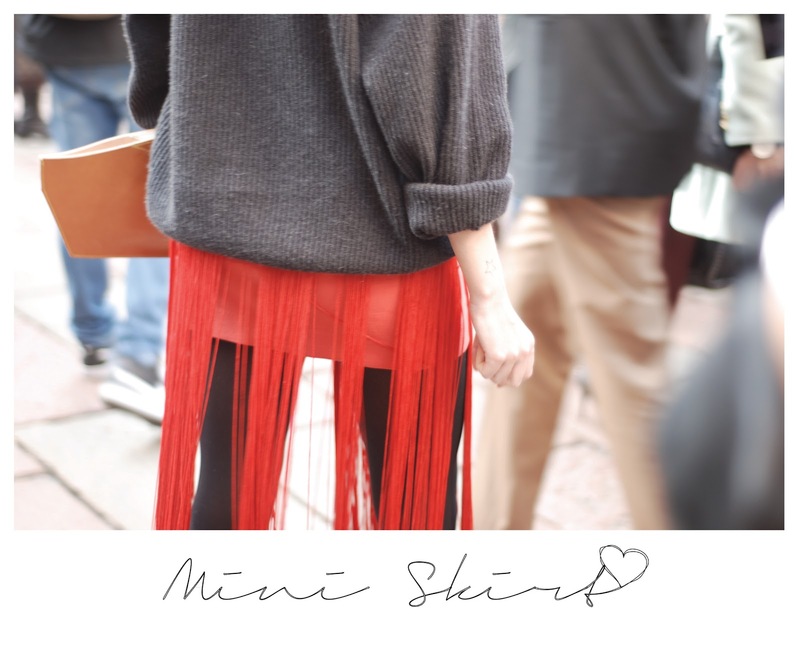 A red mini skirt dressed over a pair of dark grey leggings balanced out by a cute, thick, grey sweater on top gives it all a more casual feeling. And the strings! Let's not forget about them!